CARFAX 1-Owner, Excellent Condition, ONLY 4,103 Miles! Oxford White exterior and Dark Earth Gray interior, XL trim. FUEL EFFICIENT 26 MPG Hwy/18 MPG City! 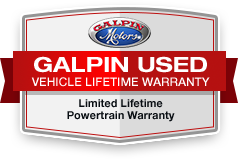 ENGINE: 3.5L V6 EcoBoost®, Turbo Charged, Back-Up Camera, HEAVY-DUTY PAYLOAD PACKAGE, EQUIPMENT GROUP 101A MID, TRANSMISSION: ELECTRONIC 10-SPEED AUT..., TRAILER Tow PACKAGE w/101A, Serviced here at Galpin, Originally Sold at Galpin, PRIOR RENTAL VEHICLE, 1-OWNER.